Stop guarding the pretty kitchen towel! I decided to create a set of fearlessly functional decorative towels that my whole family is welcome to use. Using a raw applique method that is super duper simple, results in frayed edges and that's what makes them fearlessly functional because the more I wash it, the better it looks. . . . and I can finally stop "guarding" the pretty kitchen towel. 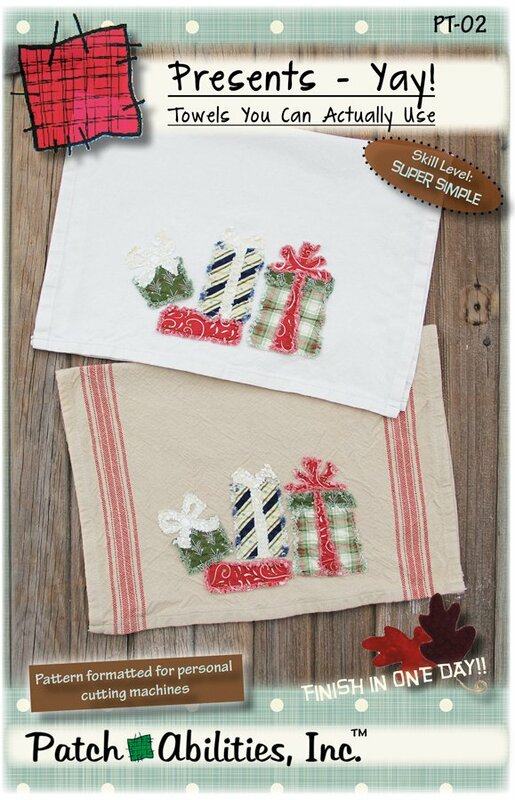 This design features a pile of Christmas presents- a great holiday towel pattern. You might want to make two- one for you and one for a gift!